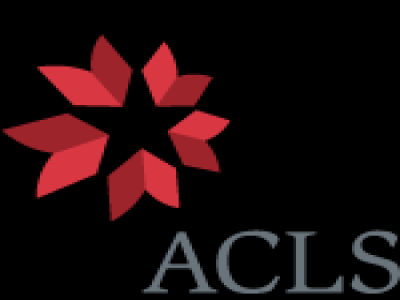 2014/2015 ACLS African Humanities Fellowship Program: The African Humanities Program (AHP) seeks to reinvigorate the humanities in Africa through fellowship competitions and related activities in Ghana, Nigeria, South Africa, Tanzania, and Uganda. In partnership with the Carnegie Corporation of New York, which has generously provided funding, AHP offers African scholars an integrated set of opportunities to develop individual capacities and to promote formation of scholarly networks. The African Humanities Program supports the Carnegie Corporation’s efforts to develop and retain African academics at universities in Africa. to build the field of humanities by establishing networks for scholarly communication across Africa and with Africanists worldwide. Fellowship competitions are the centerpiece of the African Humanities Program. They focus attention on the significance of fundamental humanistic research for the understanding of societies’ histories, languages, and cultures, and, therefore, for democracy and development. They develop the humanities community in Africa by engaging senior scholars as evaluators of applications and as mentors for Fellows, initiating and sustaining a cross-border and cross disciplinary dialog on standards of quality in humanities research. Fellowship stipends allow recipients an academic year free from teaching and other duties for completion of the Ph.D. dissertation, for revising the dissertation for publication, or for the first major research project after the Ph.D. Fellows are also eligible for additional benefits such as residential stays for writing, manuscript development workshops, and publication support. AHP fellowships fill an urgent need identified by advisers familiar with conditions at African universities. Scholars need to conduct research and to write, but they lack the time to do so because of heavy teaching duties associated with the massive enrollments in humanities courses at African universities (class sizes reach one thousand or more students). Each fellow may request a residential stay at an African institute for advanced study. Residencies have proved to be extremely popular and productive, granting fellows time and space to concentrate on writing. Because residencies must be taken at an institute outside the home country, they foster international communication. In one instance, three scholars who met while in residence in South Africa organized a conference in Benin on a subject of common interest (the difficulties in communication between Anglophone and Francophone scholarship in West Africa). Currently AHP Fellows may take residencies at eight institutes from South Africa to Senegal, Ghana to Tanzania. Applicants for Early Career Postdoctoral Fellowships must be working in Ghana, Nigeria, South Africa, Tanzania, or Uganda and must have completed the Ph.D. no more than eight years ago. Completed applications must be submitted by November 1, 2014. For more information and application details, follow this LINK to visit the official web page.